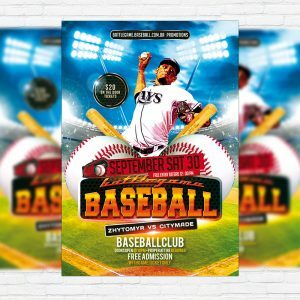 The Baseball Night is the exclusive Photoshop PSD flyer template designed by ExclusiveFlyer to promote your Baseball Night. This is a modern, stylish flyer and just be used for a Baseball Game, Baseball Match etc. 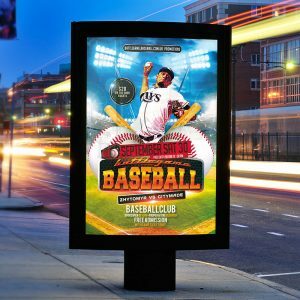 The Baseball Game is the exclusive Photoshop PSD flyer template designed by ExclusiveFlyer to promote your Baseball Game. This is a modern, stylish flyer and just be used for a Baseball Tournament, Baseball Championship, Baseball Night Show etc. 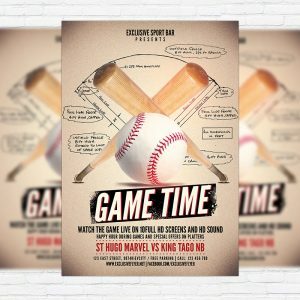 The Baseball Game is the exclusive Photoshop PSD flyer template designed by ExclusiveFlyer to promote your Baseball Game Party. This is a modern sport flyer and just be used for a Baseball Tournament or Sport Party.